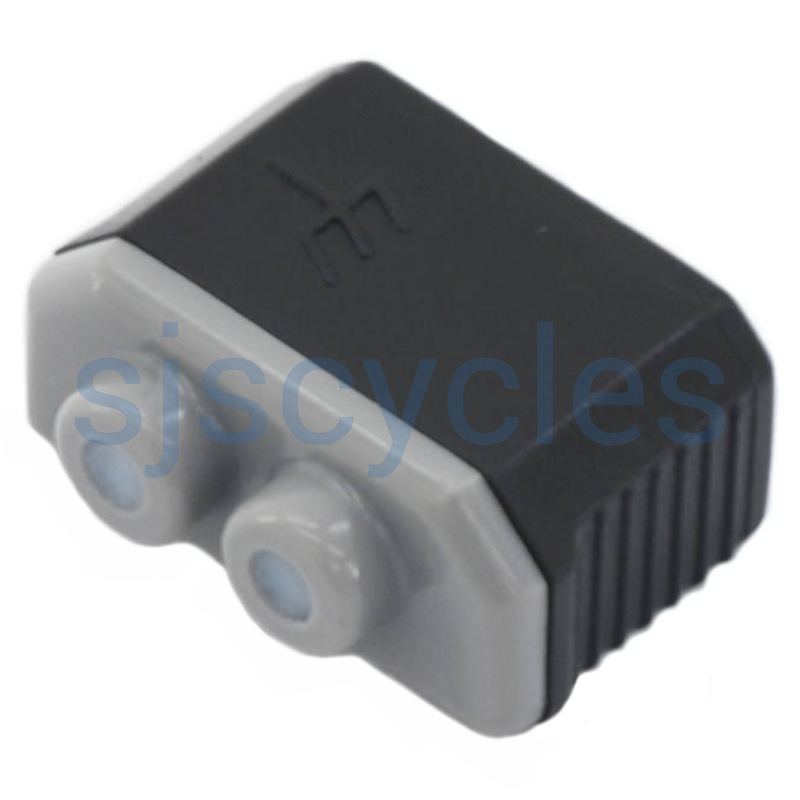 Black connector with grey cap. Fits all Shimano and some non shimano dynohubs. A useful spare and very simple to fit!!! These will fit Shimano and SP hub dynamos just fine. May fit others too, not sure. With black and grey bits separated, wires thread in through the small holes in the black bit, then through the holes in the grey bit and fold back into the grooves on the grey bit. Grey bit then slides inside black bit which holds the wires in place. The folded back bit of wire is what touches the dynamo contacts. Simple and effective. This was missing from my new bike and it took time to locate you but once we found you got excellent, efficient service and the product is excellent! Also ordered a spare at the same time just in case!! This Looks Exactly Like The Brompton Tab Conector Set? They look very similar because they are, the only difference is that one is branded by Brompton so people are aware that they are compatible with Shimano/Brompton dynamo hubs.